This is an entry for the French Gamejam Christmas 2017. Theme was "Yeti". 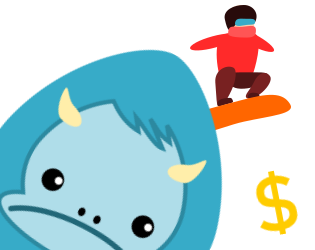 You're trying to be cool so you came up with the idea of snowboarding around the Yeti. You get fame (and money) for it, but you have to maintain a certain rhythm if you don't want to lose your public. And also: try to avoid the Yeti.